This resource has been developed for use in implementing Indian Education for All, through a collaboration between Montana’s Office of Public Instruction and the University of Montana’s Regional Learning Project in the Center for Continuing Education. The interviews featured in the Digital Archives are individual perspectives regarding the Essential Understandings and Indian Education for All, as such, they are not meant to be reflective of their tribal nation or educational association. (see Essential Understanding #2). 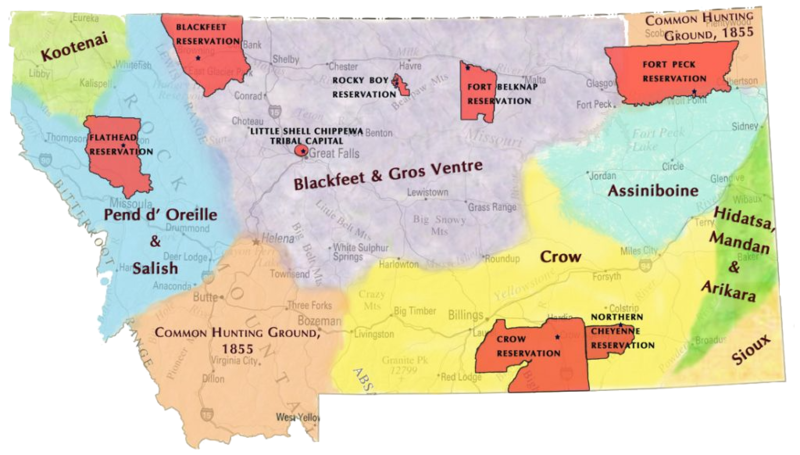 *Tribal boundaries were determined by non-Indian officials at treaty time and do not accurately reflect traditional tribal territories.